SMALL and medium-sized enterprises (SMEs) will now be able to tap free business advice on issues ranging from government schemes to overseas business expansion at centres across Singapore. An agreement was sealed yesterday between five local trade associations, Spring Singapore and the People's Association to set up SME centres within the five Central Development Councils. These so-called satellite centres will be manned by consultants from the various trade associations with funding from Spring Singapore. The CDCs will help by providing space for the centres within their offices. Yesterday, the second such centre, located at the Southwest CDC's premises in Jurong East, was launched. This new centre will be manned by consultants from the Singapore Manufacturing Federation (SMF). The first satellite centre was launched last year at the Northeast CDC in Tampines, as part of a test run of the project. The pilot proved to be a success, helping some 1,000 SMEs. Dr Amy Khor, mayor of the Southwest CDC, calls the collaboration a "win-win" situation, noting that SMEs and micro-businesses located within the community play a key social role. For one, they contribute directly to the community by signing up to be corporate sponsors for the CDCs. At Southwest CDC, for instance, 44 per cent of its corporate partners are SMEs, said Dr Khor, who is also chairman of the Mayors' Committee. "If these businesses are able to upgrade, improve productivity and grow, they will be able to offer more job opportunities to our residents, right at their doorstep," she added. The new satellite centres will complement the SME help centres that are already located in each of the five participating trade associations - the Association of Small and Medium Enterprises, the Singapore Chinese Chamber of Commerce and Industry, the Singapore Indian Chamber of Commerce and Industry, the Malay Chamber of Commerce and Industry and SMF. More than 70,000 SMEs have benefited from SME help centres since the concept was launched in 2005. 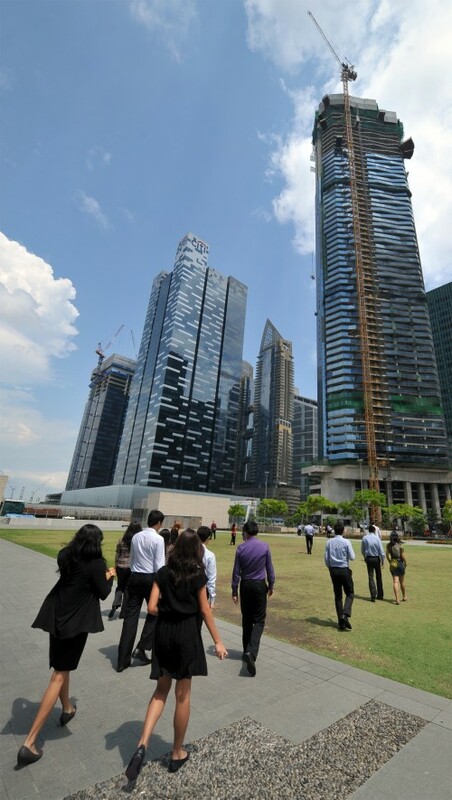 Spring Singapore expects the help centres, along with the new satellite centres, to aid another 60,000 firms in the next three years. Minister of State for Trade and Industry Teo Ser Luck said that the centres will also be useful for channelling feedback to the Government on ways to improve assistance to SMEs. "We know the schemes are not one-size-fits-all and there needs to be tiers to help not just medium but also small and even micro firms. So we will review the schemes and see how we can further tailor them to be more effective," he said.